Here is a brief history of the proposals to build a care home on the site of 1 Pullen’s Lane. Click here for a location map (the site boundaries are approximate). March 2014 – Developers Carebase submit a planning application for a 55-bed care home at 1 Pullen’s Lane. August 2014 – Planning permission refused. East Area Planning Committee said it did not fit with the area’s “rural tranquility”. Jan 2016 – Frontier Estates submit a new planning application also for a 55-bed care home on the same site. May 2016 – Frontier withdraw their application. Sept 2016 – Frontier announce revised plans will submitted to Oxford Design Review Panel before submitting a formal planning application before the end of the year. April 2018 – Frontier’s planning application validated and published on Oxford City Council website on 30 Apr 2018, reference 18/00870/FUL. November 2018 – The application was refused by the East Area Planning Committee. 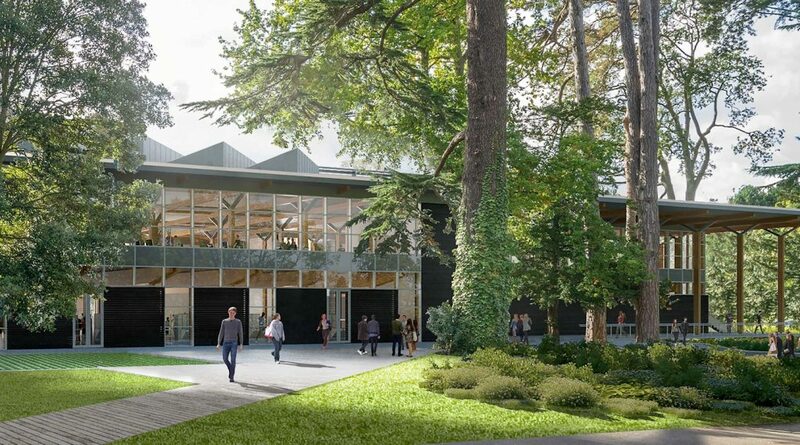 Earlier this week Oxford Brookes and their consultant planners Turnberry put on a public exhibition of their latest development plans. This time it concerns the Headington Hill site; one proposal is for the replacement of the Helena Kennedy Building (HK), the other the redevelopment of the residential Clive Booth Student Village (CBSV). I was fortunate to be able to go to a full presentation by Brookes/Turnberry. The plans for CBSV are more radical; they are looking to achieve a net gain of about 500 bed spaces which together with the major student accommodation development at Cowley Barracks will go a long way to getting the number of Brookes students in private rented accommodation down below the 3,000 target required by the City Council. At first sight the declared height of some of the new buildings seems excessive, but I was impressed by the amount of detailed work the consultants had done on both local and long-distance views towards and away from Headington Hill. This aspect will no doubt be subject to great debate once the formal planning applications are submitted and open for public comment. Part of the thinking behind the proposals is to make the node point between CBSV and Headington Hill Campus more open, and to encourage students to use the Campus and the HK building as a through route to JHB/London Road/Gipsy Lane and to the sports facilities over the Headington Hill bridge. That way they will avoid the less attractive, poorly lit and potentially unsafe route of Cuckoo Lane and Pullen’s Lane. For those who weren’t able to get to the public exhibition there is a copy of the display boards on this link (with thanks to Brookes and Turnberry). The two developments will be covered by two separate planning applications; HK will be first in a few weeks’ time, CBSV will follow and is expected to be submitted in early June. On 21 December 2017 the City Council gave prior approval to a change of use (ref: 17/02969/B56) allowing the conversion of the Nielsen building by the A40 next to Thornhill P&R into 134 flats. There were several conditions attached to the approval, which was a delegated decision. Campaigners and supporters of active travel will be pleased to see five conditions requiring better access to the site by foot and on cycles, cycle parking, and travel information for residents. Condition 3 calls for “improvements … to the footpath to the south of the site … to create an appropriate shared footway and cycle access into the site. 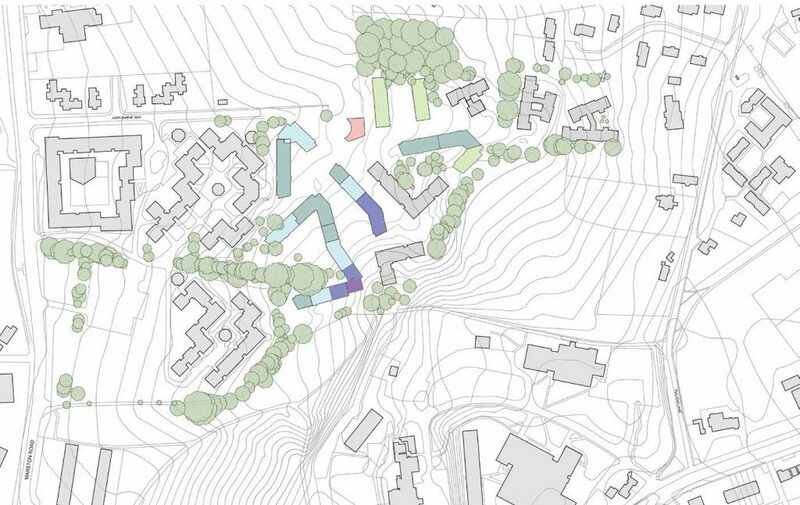 [This] must be of a sufficient standard for shared pedestrian and cycle use and must be appropriate for safe and convenient use year round.” This access leads into Risinghurst – good news for The Ampleforth! 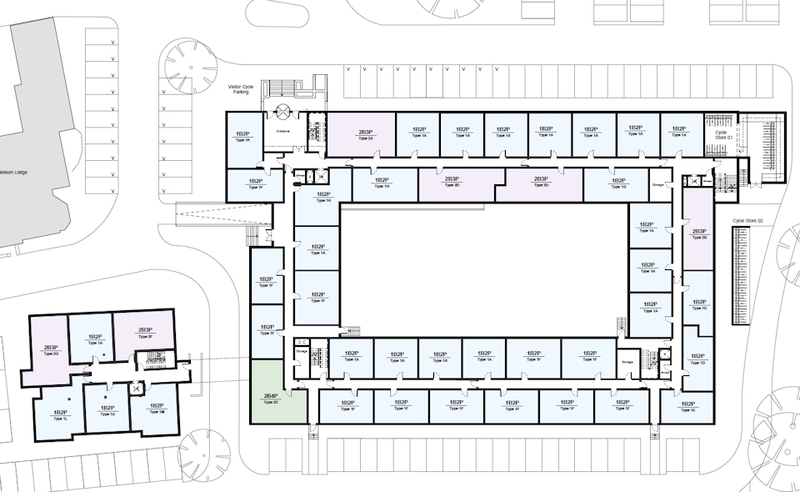 Condition 6 specifies a minimum of 326 easily accessible cycle parking spaces, and Condition 7 requires there to be a Travel Plan Co-ordinator for the site and for a Residential Travel Information Pack to be given to every resident when they move in. Of course, the fiasco of cycle provision at Westgate isn’t a good precedent. Although we will have to wait and see how the Nielsen site turns out it seems to be a step in the right direction. But the city planners will have to keep their eye on the ball to make sure the developers deliver good quality schemes to satisfy these conditions.